Peruru is a small village located near Amlapuram in the East Godavari district of coastalAndhra Pradesh. 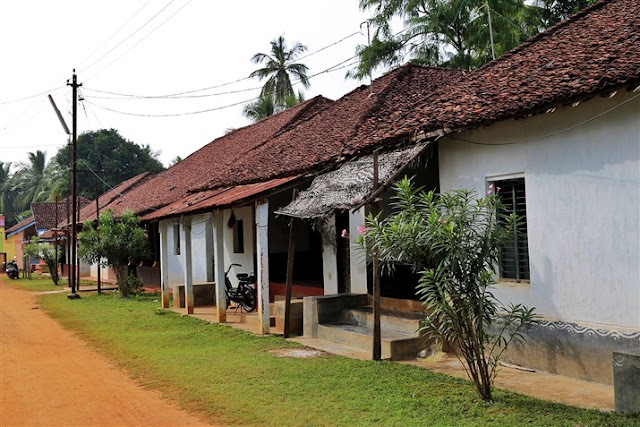 It’s an old village that has been around for centuries, but what makes Peruru so interesting? 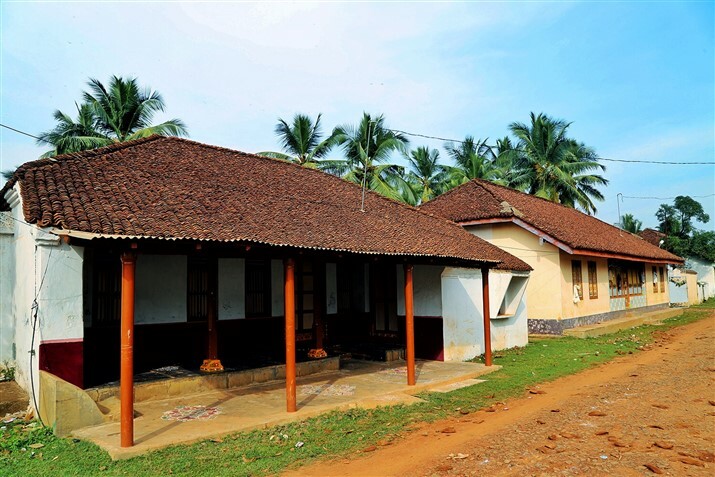 Peruru is one of the few villages of the region which has chosen to stay with their traditional heritage architecture even as the rest of the state around them modernized. It’s a small place, but even a quick visit by a non-discerning visitor will likely leave an impact. 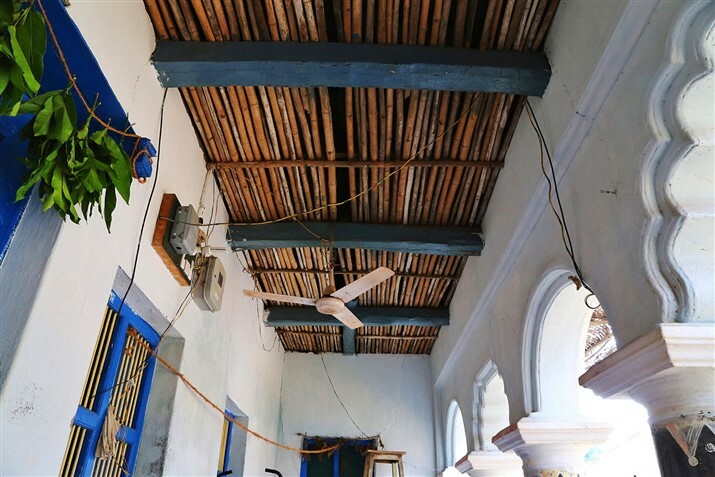 Taking a walk in Peruru is akin to a walk in a centuries old Andhra town. 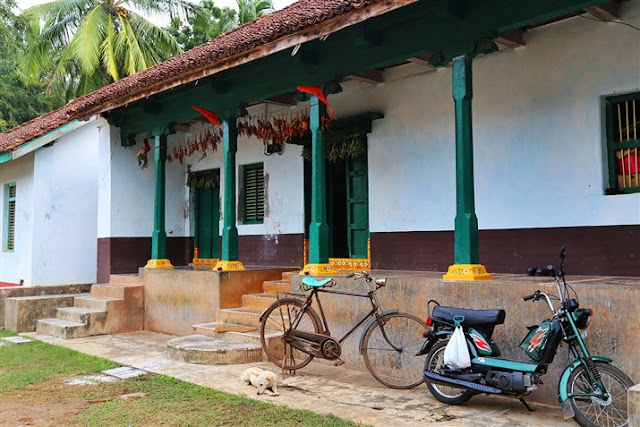 The houses have remained unchanged for a few hundred years, most of the roads are still mud-roads, there are ancient temples just like they did in the past, and there is noticeable calmness in the place. The town has a very interesting history and one that needs to be told. 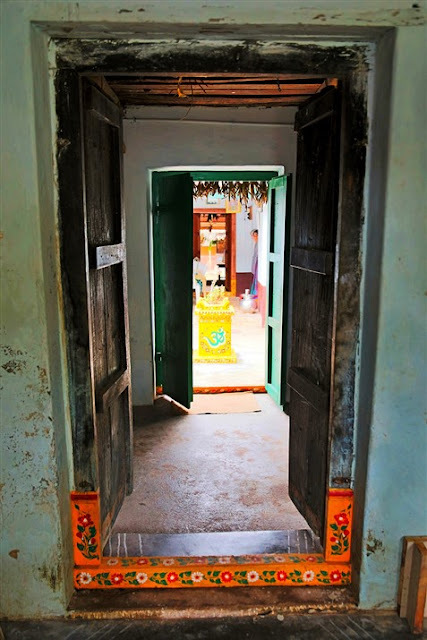 In fact the story came about when I was talking to a retired headmaster, GSN Murthy(more on him later), about his past and he mentioned that his family came here from Tamil Nadu hundreds of years back when a large number of Vedic Brahmin scholars migrated. Some more research and learnt that it was not migration by force or choice, but their movement was a result of marriage between children of two kings – one from present day Andhra Pradesh and another from present day Tamil Nadu. 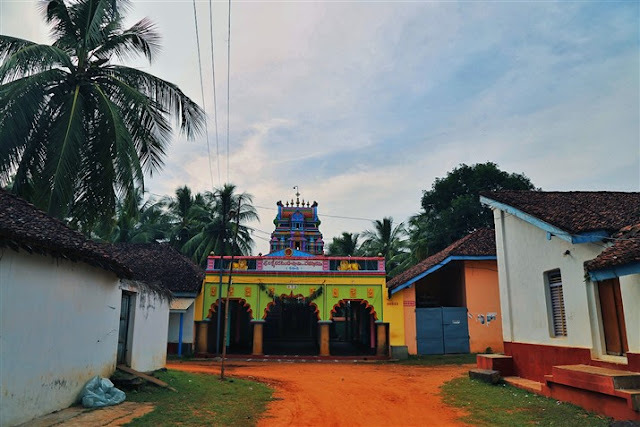 As Rani Ammanga Devi moved from the banks of Kaveri to the banks of Godavari, a large number of Brahmin priests came along and later settled here. These people came to be known as Konaseema Dravidulu. Much has changed now and the original Tamil population is completely integrated with the local culture and there little trace of Tamil seen anymore. As the population was scholarly even then, they continued to give heavy importance to education and even in pre-Independent India, most pupil were educated and many went for higher education as well. With more opportunities in independent India, United States became a preferred place to study and that’s how a large part of the population shifted there. It’s jokingly even mentioned that each household has at least one member in America. The large population outside India also sent money back home and were very particular about conservation of their heritage. 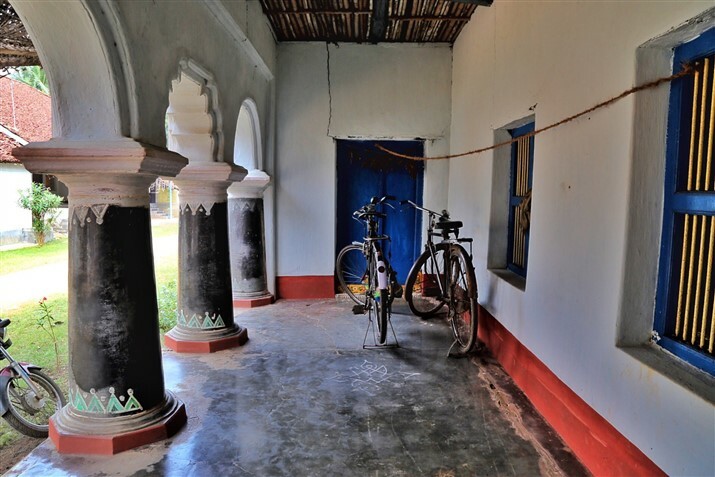 Money was spent not just on their families but also on the upkeep of their old homes. Even though not many people live here, it’s filled with huge mansion like old and heritage houses. 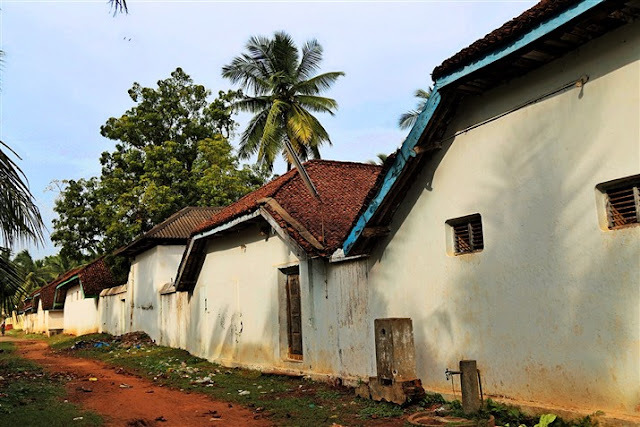 If the village was settled due to migration centuries ago, it’s now being kept intact due to another wave of migration to another country. It’s quite a strange connection. 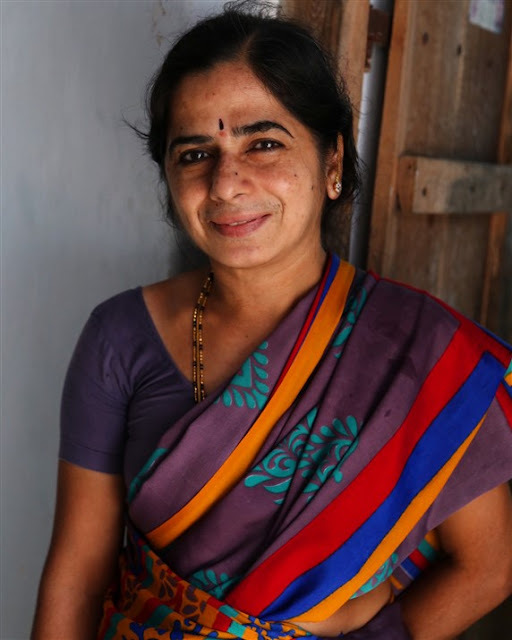 I visited the village on my recent visit to coastal Andhra Pradesh and here is the story of the visit and my conversations with the people. “Saar, I think you will like Peruru”, my driver-guide Subbu mentioned. I had told him a few times since morning how beautiful the few old houses looked as we traveled across villages. He spoke little Hindi and even less English, but so far we had no trouble communicating. Now he had my attention and we quickly made plans for a trip to the village after lunch skipping the planned rest. As we drove from the resort to Peruru, the landscape remained fairly consistent and stunning. I dozed off quickly and woke up only when we were already at the village after an hour long drive. I looked out of the window and enamored by the place. No vehicles, no people, just beautiful old houses. “No saar”, be replied with a sheepish smile. Over the next three hours we went from home to home and spoke to a few families. Everyone we spoke to opened their houses and told us their stories. It was exactly how I love seeing a place. We even got delayed as one family insisted that I have chai with them. Here are a few stories and dreams of people from the town. 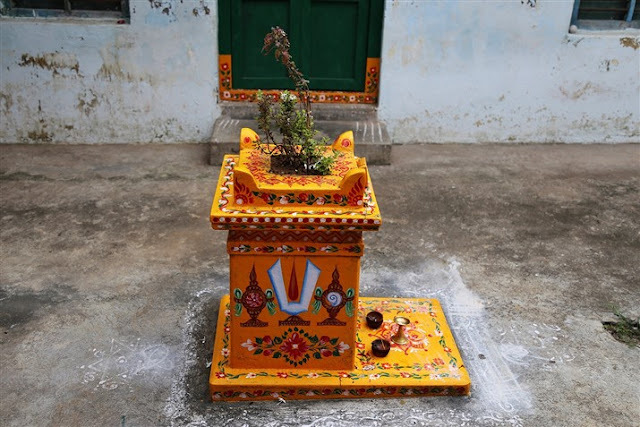 GSN Murthy was born in 1946 in the house in the Peruru village of East Godavari district. His family originally came from Tamil Nadu about 300 years back but not they are fully ingrained here and speak only Telugu. He comes from a Brahmin family where education was always highly valued. He also went on to get graduated and later became the headmaster of the village school. Now he is retired and runs a small coconut business. Murthy stays with his wife and both their kids are working outside. 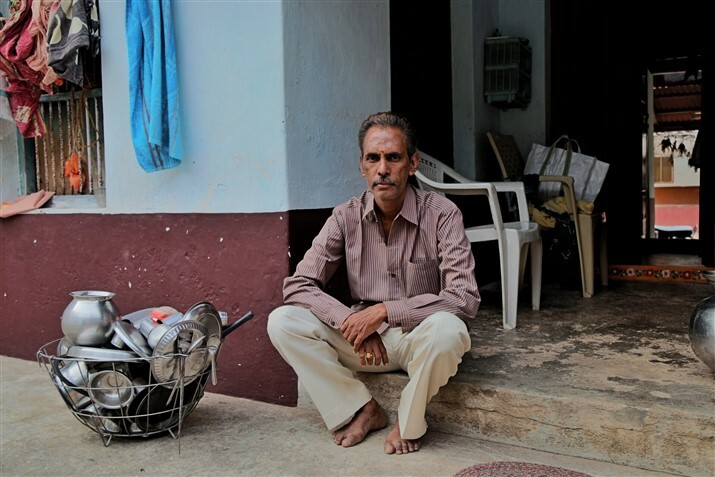 His large house used to be full of people till a few decades back, but now it’s largely empty. That’s the case with most other large houses in the village as well. 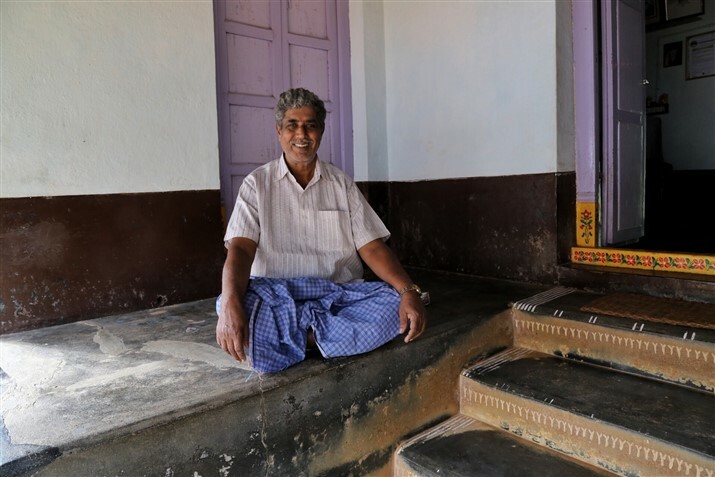 GS Bhaskar Rao works at the State Bank of Hyderabad and spends his evenings at the village Shiva temple everyday. He often sits at the temple till about 9pm with friends and then goes home for dinner and then sleeps. He grew up in the Peruru village and can’t imagine living anywhere else. The village used to have many residents, but now most have left. It’s said that every home has at least one person in United States. He is married and his wife teaches in a school in a different village. 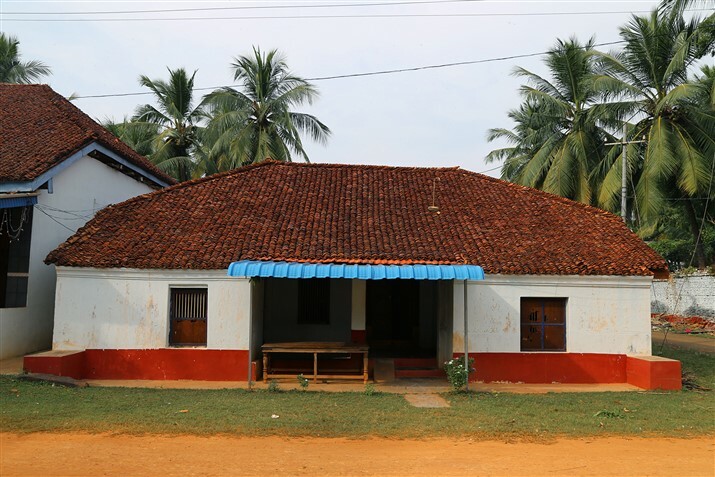 In Peruru he lives with his brother and his wife in their ancestral house. Peruru can be easily mapped on Google maps and it’s best to follow that and ask occasionally for directions. The nearest big city is Rajahmundry which also has an airport, with connecting flights from Hyderabad. It would take anywhere between 3-4 hours to reach here in a car. You can easily get a cab there. You can also come to Vijaywada first and then come from there in your car or cab.